Allen & Unwin, London, 1956. Full-Leather. 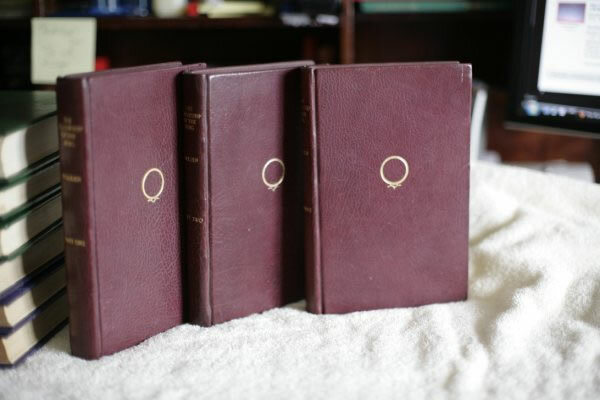 This is an early 1st edition (5th, 5th, 4th impressions, ie 1956,1957, 1958) set fully rebound in dark maroon leather. 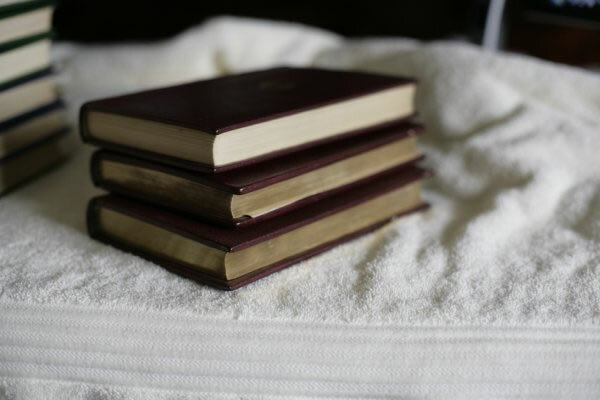 Each book containe the neat inscription 'Bullock 1959'. There is a long tear to the paper of the map in The Two Towers but it doesn't impinge on to the actual map. Each book has a gilt ring on the front board. 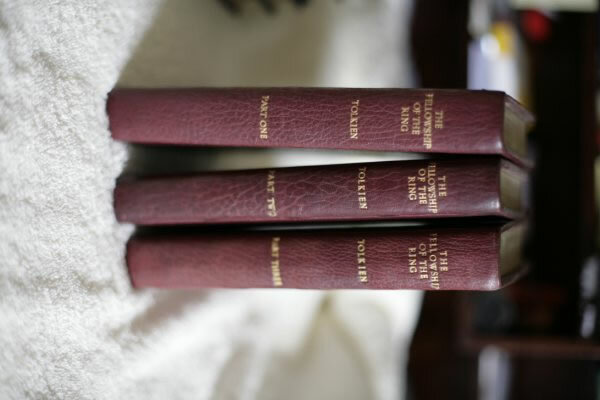 Each spine contains the title The Fellowship of the Ring, then Tolkien, then Part 1, Part II, and Part III respectively. The top edge of the first book is gilt, the other two books have all edges gilt. Some marks to the leather covers. A slightly oddly-produced one-off rebind but it's an early edition, and being full leather they feel comfortable in the hand and they have that distinctive leather smell to them.